David Fraser is a poet, spoken-word performer, publisher and editor. He lives in Nanoose Bay, on Vancouver Island. He is the founder and editor of Friday's Poems, Ascent Aspirations Magazine. 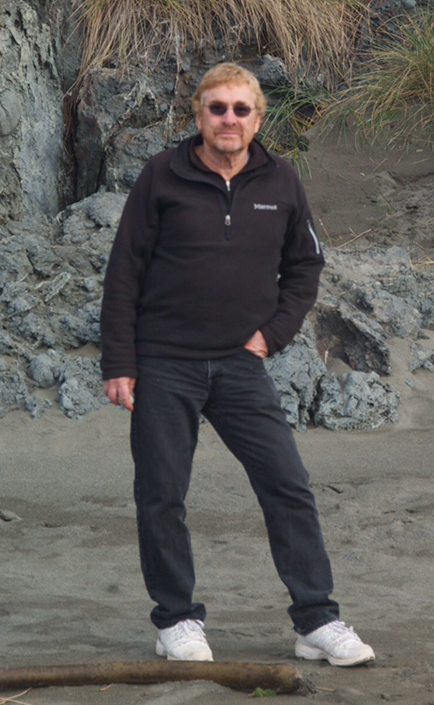 His poetry has appeared in many journals and anthologies, including Rocksalt, An Anthology of Contemporary BC Poetry (Mother Tongue Press), Poems from Planet Earth (Leaf Press), Walk Myself Home (Caitlin Press) and recently Tesseracts 18. He has published six collections of poetry; Going to the Well, 2004, Running Down the Wind, 2007, No Way Easy, 2010, Caught in My Throat, 2011 and, Paper Boats, 2012. In addition David has co-authored with Naomi Beth Wakan, On Poetry, an inspirational book on poetics and poetry and has recently completed a response poem collection, Maybe We Could Dance, with poet Pat Smekal. His forthcoming collection of poetry, After All the Scissor Work is Done was published by Leaf Press in 2016. He is the artistic director of Nanaimo's spoken-word series, WordStorm www.wordstorm.ca. He participated in Random Acts of Poetry, a national poetry program that brought poetry to the streets of Canada. David is a member of the League of Canadian Poets. He is currently working on a series of noir crime fiction novels featuring Jack McQueen.